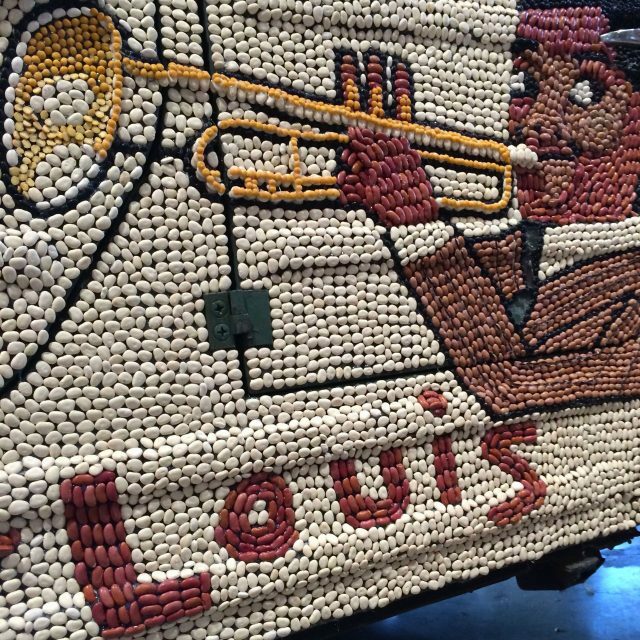 Detail of the “Beanmobile” being decorated by the Red Beans Krewe for their Lundi Gras parade. Louis Armstrong loved to eat almost as much as he loved to play. 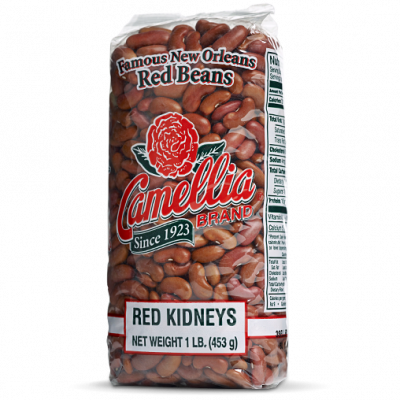 Born in New Orleans, it’s no surprise that his favorite dish was red beans and rice. So important was the iconic meal that he asked his future wife Lucille to prepare it for him before he would propose. 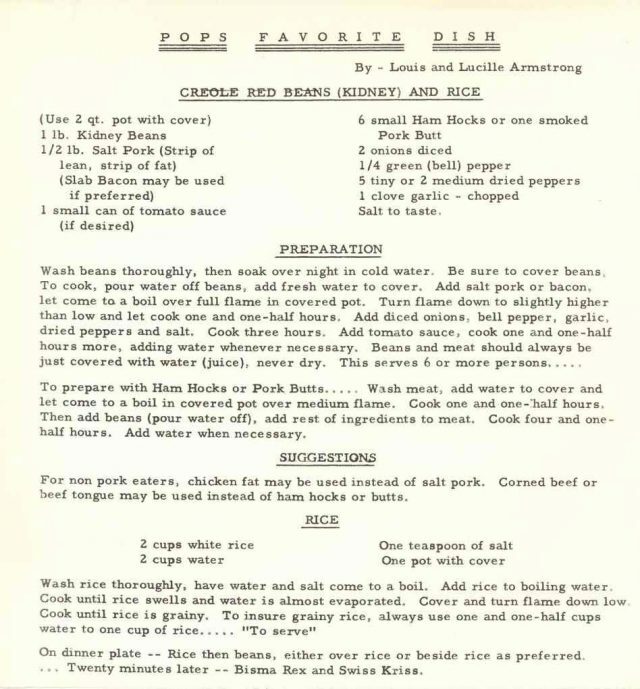 Later in life, he would sign his letters “Red Beans and Ricely Yours”. To prepare with Ham Hocks or Pork Butts….. Wash meat, add water to cover and let come to a boil in covered pot over medium flame. Cook one and one-half hours. Then add beans (pour water off), add rest of ingredients to meat. Cook four and one-half hours. Add water when necessary. For non pork eaters, chicken fat may be used instead of salt pork. Corned beef or beef tongue may be used instead of ham hocks or butts.